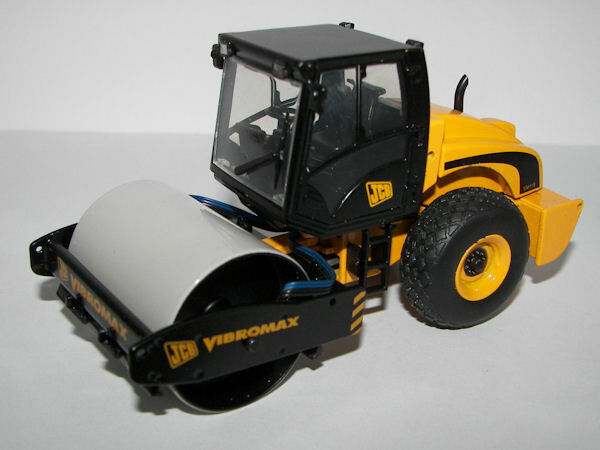 This JCB VM115 Vibromax is made by Motorart. What immediately attracts attention are the sharp colors and printing of the model. 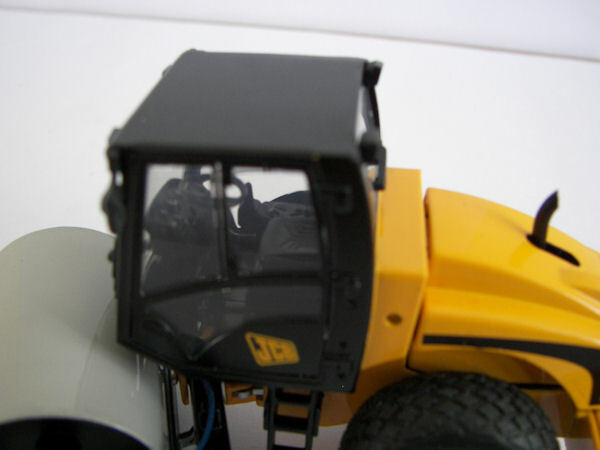 The model has excellent details, with windscreen wipers, mirrors and working lights on the cab and hydraulic hoses to the roller drum. The tires feature a realistic tread pattern. The hood can be opened to reveal the nicely detailed engine, complete with flexible hoses. As usual with Motorart lots of attention goes to the interior. All controls have been reproduced, the gauges are painted and even the folds in the drivers seat lining have been reproduced. 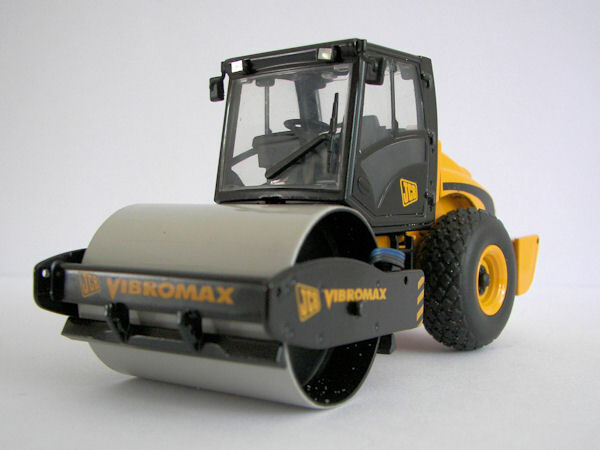 The nice smooth roller drum features scrapers on the front and rear. 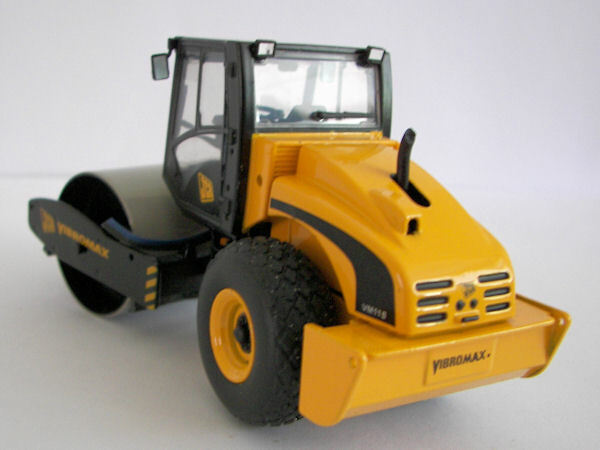 The articulated steering has an sufficient angle and the roller drum tilts. 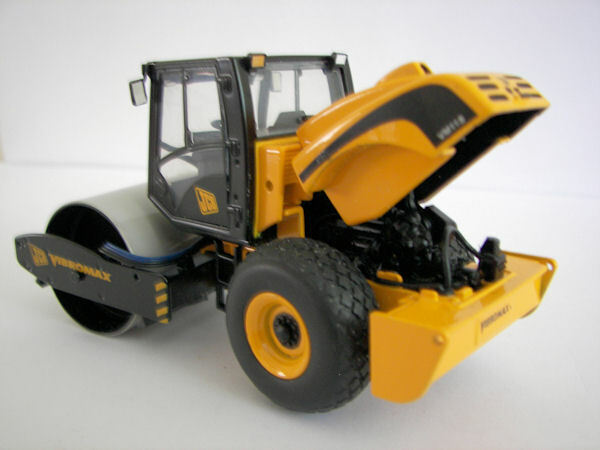 Again an excellent model from Motorart and a nice addition to any road construction or earthmoving collection.